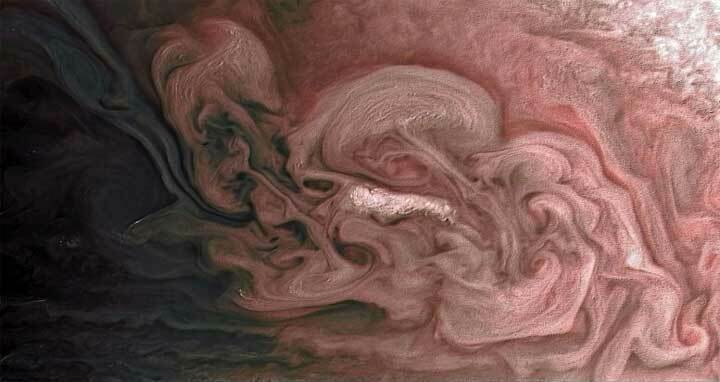 Dhaka, 18 Mar, Abnews: This image captures a close-up view of a storm with bright cloud tops in the northern hemisphere of Jupiter. NASA’s Juno spacecraft took this color-enhanced image on February 7 at 5:38 a.m. PST (8:38 a.m. EST) during its 11th close flyby of the gas giant planet. At the time, the spacecraft was 7,578 miles (12,195 kilometers) from the tops of Jupiter’s clouds at 49.2 degrees north latitude.